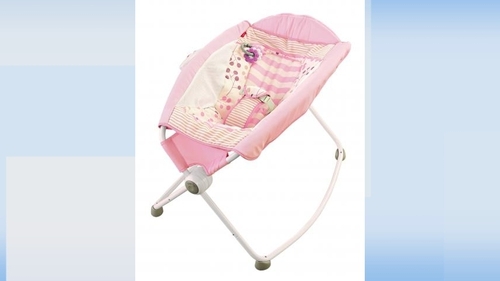 Toy company Fisher-Price has recalled nearly five million baby sleepers after reports linked its product to infant fatalities. It comes after a call from the American Academy of Pediatrics on the US Consumer Product Safety Commission (CPSC) to issue a full recall of the 'Rock 'n Play Sleeper'. In a statement last night, Fisher-Price said: "While we continue to stand by the safety of all our products, we have decided, in partnership with the Consumer Product Safety Commission, that this voluntary recall is the best course of action." Both Fisher-Price and the CPSC had issued a joint alert on 5 April to "warn parents and caregivers to discontinue use of Rock 'n Play Sleeper when infants begin to roll over," or when the child turns three months old.